This is a fairly large cemetery covering 4 or 5 acres of land. There are around 300 graves, some marked with wooden posts. There are several tall monuments. There was a community here named Grounds. It had a school. The land for this cemetery was donated by Dr. Grounds. I have not been able to find a deed for the cemetery. The current caretaker calls this the Grounds Cemetery. 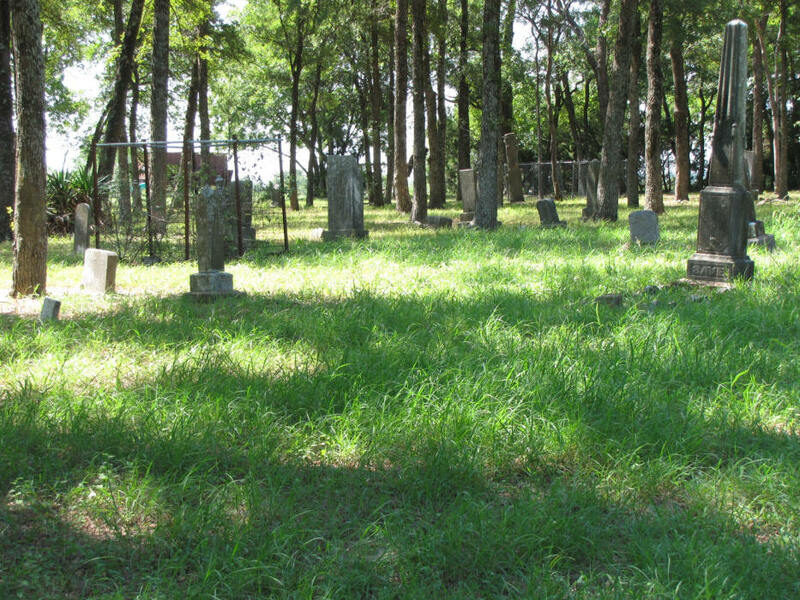 It is listed in COLLIN COUNTY CEMETERY INSCRIPTIONS I as Old Grounds Cemetery. This cemetery is not well taken care of. There is no grass. Most of the graves seem to be for the 1890's. The stones have not been cleaned and it is hard to read the inscriptions. There is evidence of stone repair. The caretaker says he repaired the stones with Liquid Nail. Until recent years the cemetery has been badly neglected. It was once part of a cow pasture. The briars were so thick near the entrance that no one could get in. At one time the cemetery contained a beautiful domed marker for a man and his two wives. Someone destroyed the columns that supported it. The cemetery contained pottery shards from some of the finest and most beautiful pottery. When the cemetery was cleared in recent years, they used a bulldozer to clear out the briars and brush. In the process the pottery shards were removed. As many as a couple of dozen graves were lost to the bulldozer. The man who was once taking care of the cemetery has died and I have heard that the cemetery is being neglected again. George Washington Smith is buried here. He was a veteran of the War of 1812 and the Texas Revolution. He volunteered for the Civil War, but no one would take him because of his age. His grave was moved here from his farm near the Blue Ridge Cemetery. 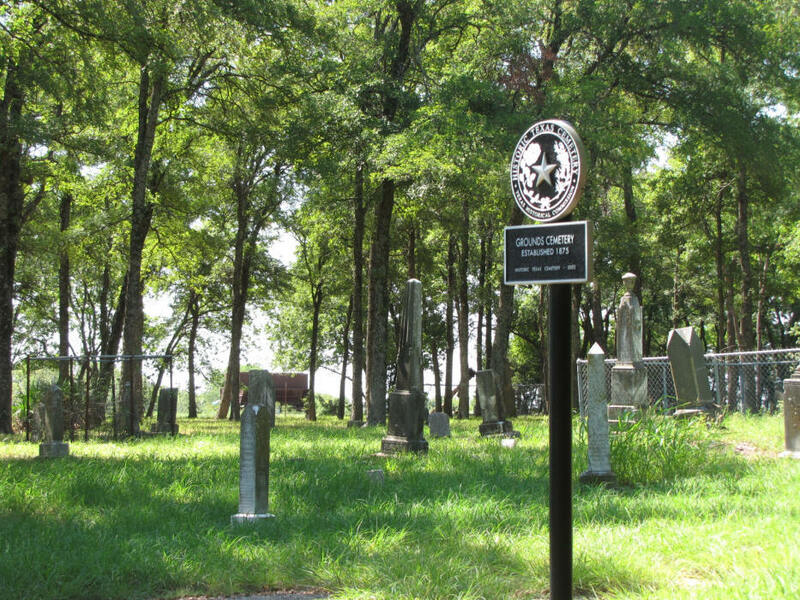 It has markers from the State of Texas and the Daughters of the Texas Republic. Smith's historical marker was erected at the Blue Ridge Cemetery because of the neglect at this cemetery.